Taking You Back To The Old Skool! Wayne has got the start of your weekend covered! Playing 2 hours of Old Skool and Anthems for a Friday evening. 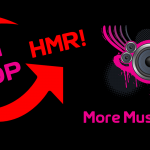 Get in touch using Facebook, Tweet us @hitmusicradio or text ‘HitMusicRadio’ + Your Message to 84433* for a shout!